Need More Staff in your Environmental/Climate Change Department? Climate Corps Bay Area participants could be the answer to your needs. The program is currently recruiting for members to work in the Corps as well as some additional community partners who want to host members for their GHG reduction programs. Visit their website to learn about partner requirements and more information about the program. Keep this in mind when developing budgets for next year! Members will participate in a comprehensive training program, assist with climate programs and build long-term volunteer involvement. $75 million in funding is available. Pre-Application is due by July 26, 2010 and the full application is due by August 23, 2010. For the first time ever, DOT and HUD will join forces to award up to $75 million in funding: $35 million in TIGER (Transportation Investment Generating Economic Recovery) II Planning Grants and $40 million in Sustainable Community Challenge Grants for localized planning activities that ultimately lead to projects that integrate transportation, housing and economic development. Visit:here for more information. The City of Martinez becomes the sixth Contra Costa City to join the CaliforniaFIRST efforts in Contra Costa County. Which city will join next? In October, Walnut Creek will join in the process of offering curb-side compost pick-up for residents. This process was piloted in the Lafayette, Moraga and Orinda area. Rotting food scraps and other organic materials create methane, a potent greenhouse gas. By composting, cities will reduce the amount of garbage they deliver to the landfill. The collected compostable materials will be converted into soil that will be sold to nurseries. Read the full article. SunPods Inc., a manufacturer of modular, factory-assembled solar energy platforms, provided a live demonstration of Plug ‘N Go Solar Charging stations at the Ft. Bliss US Army base in June. The Renewable Energy Rodeo and Symposium in San Jose was designed to establish a foundation for the accelerated deployment of renewable and energy-saving technologies. The SunPods Plug ‘N Go Solar Charging platform gives the military the flexibility to provide sustainable power for a wide range of EV’s including off-road electric vehicles (EV), plug-in hybrid electric vehicles (PHEV) and electrical industrial utility vehicles. Sacramento Habitat for Humanity (SHFH) recently submitted a project for LEED certification; it is expected to be their first Platinum home certification! Each Sacramento Habitat project is built with a “Green Theme.” The focus and green theme for this home is Advanced Framing. The techniques used in the walls and roof system allowed the building team to add valuable energy efficiency features. Roughly 25 percent of the total LEED points come from design and energy efficiency measures that tighten the energy envelope and reduce utility costs. Learn more here. Having just completed the warmest spring on record, Washington, DC, and other cities in the eastern United States are enduring a record-breaking heat wave that is consistent with climate change. Temperatures in Washington D.C. broke a century-old record. These patterns fit the long-term trends of more frequent heat waves driven by climate change and are likely to intensify if climate change continues unabated. The National Academy of Sciences reports also point out that while these trends are already underway, and can be expected to continue, the severity and frequency of heat waves and their consequences can be mitigated by reducing carbon dioxide in the atmosphere. Learn more here. On July 1st, Contra Costa Climate Leaders Program held a workshop on this topic with case studies and peer-to-peer discussion. Presenters spoke about the details of a RECO program citing different case studies of cities that have these ordinances or are in the process of creating one. Combining an ordinance like this with the CaliforniaFIRST financing has created a great opportunity for energy efficient homes. Please visit our website to see the PowerPoint presentations from our speakers, handouts, case studies and other workshop materials. A measure that would suspend implementation of the California Global Warming Solutions Act (A.B. 32) qualified for the November general election ballot. Largely funded by two Texas-based oil companies, the initiative needed at least 477,369 valid signatures to qualify for the ballot, and it exceeded that threshold. The measure desires to put any of the state’s climate change policies, including a GHG emissions cap-and-trade program, on hold until the statewide unemployment rate drops to 5.5% (from the current 12%) and stays there for four consecutive quarters. A.B. 32 requires the state to cut its greenhouse gas emissions to 1990 levels by 2020, about 15 percent below current levels. Governor Schwarzenegger opposes this initiative. The global temperature has risen to a record for a 12-month period, according to NASA. The average surface temperature for the year was about 0.65 of a degree Celsius (1.17 degree Fahrenheit) higher than the 1951 to 1980 average, according to NASA’s Goddard Institute for Space Studies. That makes it a fraction warmer than the previous peak detected by NASA in 2005. The study said: “We conclude that there has been no reduction in the global warming trend of 0.15-0.20°C/decade that began in the late 1970s.” Read more here. Dengue Fever Reaches the U.S.
A new report from the Centers for Disease Control and Prevention confirms that for the first time in more than 65 years, dengue fever has returned to the continental United States. The upsurge is not unexpected. Experts say more than half the world’s population will be at risk by 2085 because of greater urbanization, global travel and climate change. Learning about dengue fever and finding ways to block its spread can help the U.S. prepare for other tropical diseases likely to spread northward due to climate change. The effort needs to include nontraditional partners, such as climate scientists and urban planners, park rangers and health departments, eco-database modelers and sewage engineers, to ensure that our health-care defenses aren’t overwhelmed. Learn more here. Healthy public lands that support the nation’s outdoor recreation economy are imperiled by a warming climate. The outdoor recreation industry and those who pursue outdoor activities are among the first to experience the impacts of climate change on our public lands. They believe that their industry is in a unique position and has a responsibility to offer leadership on this important issue. Many of the $730 billion outdoor industry’s largest companies are getting vocal about it. The Outdoor Industry Association (OIA), a trade group representing over 4,000 manufacturers, retailers, distributors and adventure companies, recently joined the business coalition BICEP — Business for Innovative Climate & Energy Policy. Their goal is to pass comprehensive climate and energy legislation. Read more here. In an environmental stand, Britain’s coalition government has set out to curb the growth of what has been called “binge flying” by refusing to build new runways around London to accommodate more planes. Residents have become accustomed to easy, frequent flying as England has become a hub for low-cost airlines. Difficult economic times has dampened but not halted the growth in flying traffic. Citing the high levels of GHG emissions from aviation, Prime Minister David Cameron abruptly canceled longstanding plans to build a third runway at Heathrow Airport in May, just days after his election; he said he would also refuse to approve new runways at Gatwick and Stansted, London’s second-string airports. The country’s 2008 Climate Change Act requires it to reduce emissions by at least 34 percent by 2020 from levels reached in 1990. Read the full article here. Compared with new facilities, existing buildings and plants often have legacy equipment which waste energy, require more maintenance, and incur more downtime. A complete rip-out and replace strategy is cost prohibitive and very disruptive to ongoing operations and occupants. New non-invasive technologies now allow for retrofits which take minutes to install, and deliver substantial savings with investment payback of less than 18 months. This presentation will cover actual case studies and savings data related to HVAC, Lighting, Steam, and Compressed Air retrofits. Register here. The ICMA Center for Sustainable Communities in conjunction with Climate Communities presents a 90-minute interactive webconference to hear case studies on the implementation of local Property Assessed Clean Energy (PACE) energy efficiency programs. If you and your sustainability manager are seeking solutions to create green jobs, dramatically reduce carbon emissions and save property owners money on their utility bills, don’t miss this great opportunity to hear directly from the original developer of the first PACE financing program, and two counties that have successfully implemented PACE programs. Learn more here. 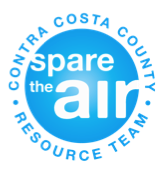 The California Air Pollution Control Officers Association (CAPCOA), along with its co-hosts, the California Air Resources Board and the U.S. Environmental Protection Agency, are proud to present this forum. The CAPCOA Climate Change Forum will create a collaborative environment where progress can be made towards the harmonization of climate programs. This conference will focus on how federal, state, and local agencies can most effectively align efforts to advance climate change programs in California. Learn more here. The Sustainable Contra Costa Awards honor businesses, government programs, community groups, non-profits, and individuals who have demonstrated an outstanding commitment to sustainable practices. This event sold out fast last year – buy your tickets now. Nominations and sponsorships for the 2010 Sustainable Contra Costa Awards are due on July 30th. Please spread the word and nominate your staff or elected officials today for your great sustainability projects.